In a symbolic and unprecedented move, Ayatollah Abdol-Hamid Masoumi-Tehrani, a prominent Muslim cleric in Iran, announced today that he has gifted to the Baha'is of the world an illuminated work of calligraphy of a paragraph from the writings of Baha'u'llah, the Prophet-founder of the Baha'i Faith. This move comes in the wake of several recent statements by religious scholars in the Muslim world who have set out alternative interpretations of the teachings of Islam in which tolerance of every religion is, in fact, upheld by the holy Qur'an. "This is a most welcome and hopeful development with possible implications for the coexistence of the peoples of the world," said Ms. Bani Dugal, Principal Representative of the Baha'i International Community at the United Nations. Ayatollah Tehrani states on his website (see translation of statement) that he prepared the calligraphy of the verse as a "symbolic action to serve as a reminder of the importance of valuing human beings, of peaceful coexistence, of cooperation and mutual support, and avoidance of hatred, enmity and blind religious prejudice." 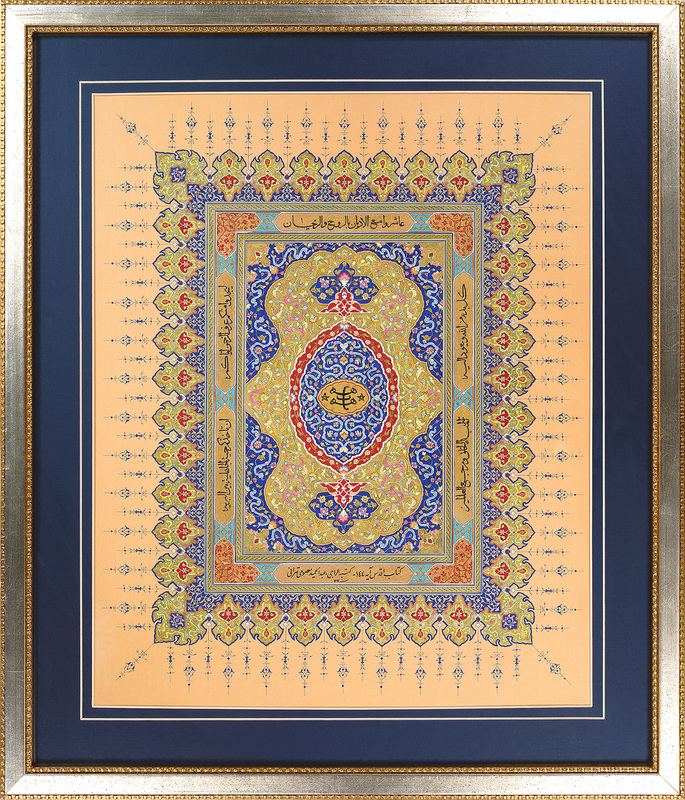 Ayatollah Tehrani presents this exquisite gift to the Baha'is of the world, particularly to the Baha'is of Iran, who he says "have suffered in manifold ways as a result of blind religious prejudice." He further states that this act is "an expression of sympathy and care from me and on behalf of all my open-minded fellow citizens." In response, Ms. Dugal stated: "The Baha'i International Community is deeply touched by this act of high-mindedness and the sentiments of religious tolerance and respect for human dignity that prompted it." "This bold action by a senior Muslim cleric in contemporary Iran is unprecedented," said Ms. Dugal. "It is also remarkable in light of the ongoing and systematic persecution of the Baha'i community in that country by the Islamic government." The intricate artwork must have taken several months to painstakingly prepare by hand. 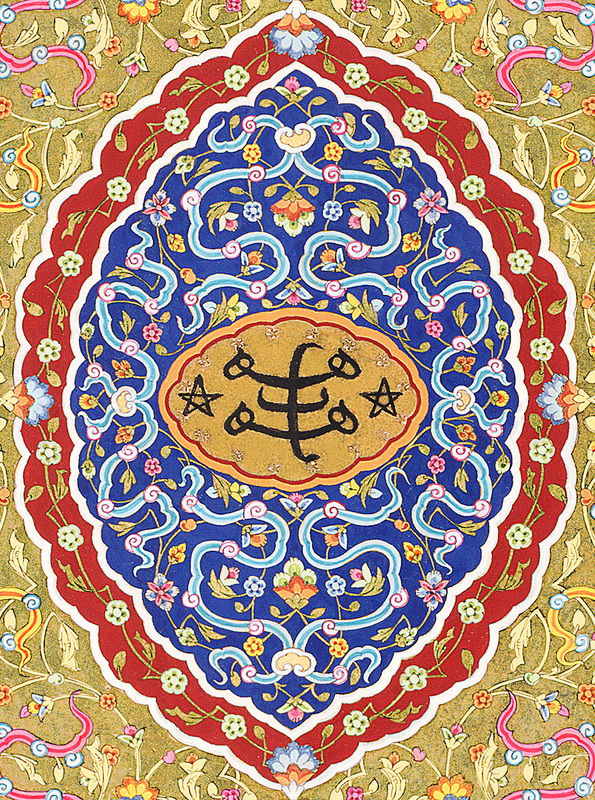 It features at its center, a symbol known to Baha'is as "The Greatest Name" – a calligraphic representation of the conceptual relationship between God, His prophets and the world of creation. The gift measures at approximately 60cm x 70cm and is illuminated in a classical style. Ayatollah Tehrani's other artworks include the illumination of the Qur'an, the Torah, the Psalms, the New Testament, and the Book of Ezra. His illumination of the Psalms is currently being held in the United States Library of Congress. The excerpt that Ayatollah Tehrani chose to cite in the gift is taken from Baha'u'llah's Kitab-i-Aqdas – "Most Holy Book". It reads "Consort with all religions with amity and concord, that they may inhale from you the sweet fragrance of God. Beware lest amidst men the flame of foolish ignorance overpower you. All things proceed from God and unto Him they return. He is the source of all things and in Him all things are ended." On previous occasions, Ayatollah Tehrani has with great courage publicly voiced concern about the ongoing and severe persecution of religious minorities, including the Baha'is in Iran. Since the Islamic Revolution in 1979, hundreds of Baha'is have been killed and thousands have been imprisoned. There are currently 115 Baha'is being held in prison solely on the basis of their religious beliefs. Baha'is in Iran are denied access to higher education, obstructed from earning a livelihood, prevented from burying their dead in accordance with their own burial rites and subjected to the demolition and desecration and expropriation of their cemeteries, all because of their religion. Ayatollah Tehrani's hope is that this gift "which will be kept by the Universal House of Justice [the international governing body of the Baha'i Faith] will serve as a reminder of the rich and ancient Iranian tradition of friendship and of its culture of coexistence."